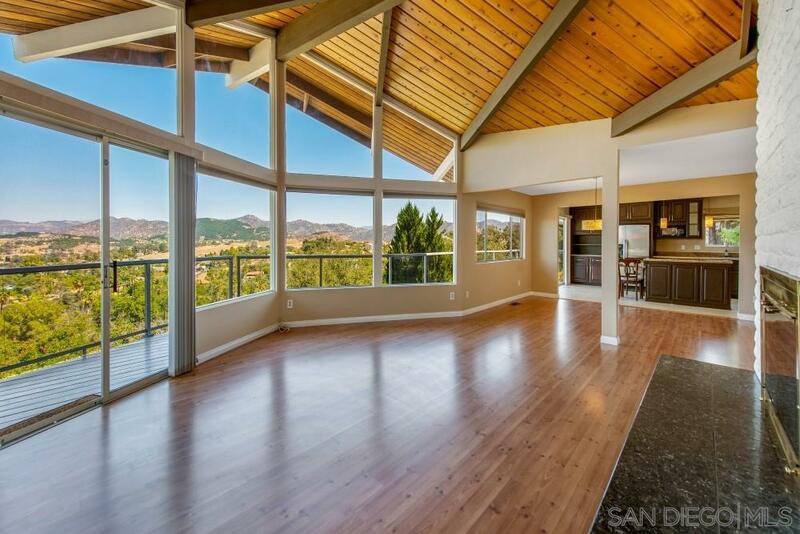 Enjoy panoramic views from most rooms in this lovely home! Relax on the expansive deck & sip your coffee as the sun rises, or have a glass of wine at the end of the day. The park like setting is peaceful & serene. The kitchen has been beautifully remodeled, featuring granite counters, stainless steel appliances, spacious island with eating area, custom cabinets & wine fridge. Updated bathrooms, speaker system, freshly painted exterior & more! LR Green & Bear Valley Middle School, *Special financing incentive available on this property from Sirva Mortgage* The main floor features the master bedroom plus two additional bedrooms, a spacious living room & dining room which are adjacent to the kitchen-perfect for entertaining. The lower level features a large family room with fireplace and bar area, as well as an extra room, bedroom with adjacent retreat room/library, and laundry room. The backyard has a park like feel with various areas to relax or play, and the patio furniture, fire pit and kids playhouse convey. The owners did extensive flagstone and rock work throughout the yard and driveway. Desirable LR Green and Bear Valley Middle Schools.